Little Adventurers art classes will aim to provide a safe space for children to be creative, discover their own artistic path and celebrate their unique artistic style. 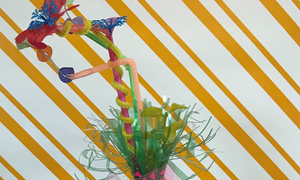 The classes will vary from term to term working with a range of mediums and skill sets such as Illustration, Painting, Sculpting and being a Maker, and using Design thinking. This terms classes will be aimed at ages 7 to 12 years old but I am always happy to chat about fitting in someone keen regardless of age. 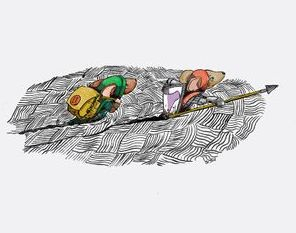 Little Adventurers art classes aim to encourage children to be Bold, Imaginative, Adventurous and Empowered. Dates: Tuesday 4 February to Tuesday 26 March - 8 weeks. Time: 3:45pm - 4:45 pm. Join us and find out how to make these seriously cool flowering cactus sculptures. Repurposing household junk, soft drink bottles, old broken toys, kitchen ware, old crafty stuff etc. 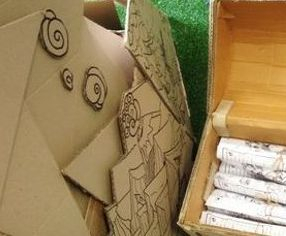 Bringing another purpose to all the things we perhaps use once and throw away, using rubbish as a creative resource. Registration via Eventbrite or by calling 08 8563 8340. 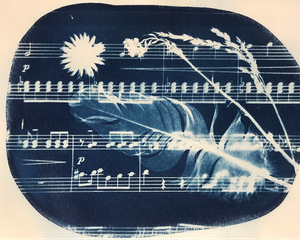 Learn the fundamentals of the ever so fun Cyanotype process, printing stunning blue prints using sunshine. - Cliche Verre, the making of your own hand drawn, made negatives to print. The results will be several finished art works that will be so awesome that your parents will be amazed. Registrations via Eventbrite or by calling 08 8563 8340. 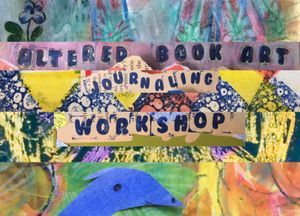 In this Altered Book Art Journaling workshop we’ll be exploring together to transform old or unwanted books into your own personal art journal using a variety of art materials, collage, stamping, printing, found & recycled materials. Art journaling can be a great way to express yourself, it can be fun & relaxing to play & experiment with many different art forms or ideas you have. There are really no rules & art experience or ability is not important at all! All materials are supplied (BUT if you have an old hard-backed book already, bring it along plus any special bits & pieces you might like to use.) Bring your apron or wear your art clothes. Join us at The Barossa Regional Gallery for an action packed workshop and make your own Lego "Brick Film" Animation. 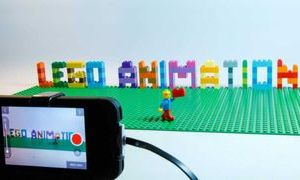 Participants will learn how to bring Lego to life using the Stop Motion Studio App available on mobile devices. The finished videos will be screened to the group and uploaded to YouTube via the GooRoo Animation Workshops channel. The workshops are designed to inspire and provide the knowledge and tools to start making movies at home. All equipment and Lego is provided but kids are also welcome to bring in their favourite sets. 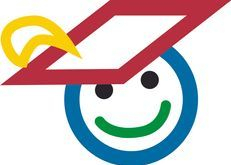 Did you know the Gallery's School Holiday program is now recognised as part of the Children's University learning destinations?